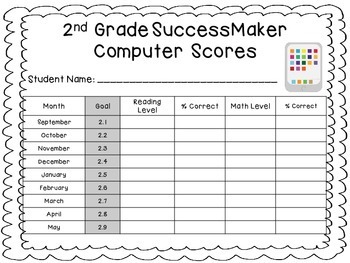 This graph works with the SuccessMaker computer program (also known as SM7). I use it in my data folders to track the student's progress. It covers reading and math. 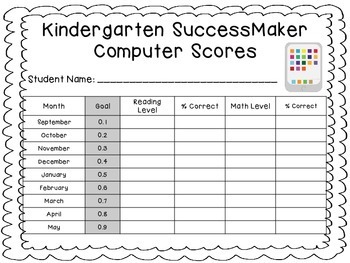 I have included a form for each grade K-6.